So I say to my dear husband, “let’s go up to Bell Square on what is probably the most hectic shopping weekend of the year” and oddly he agreed. Neither of us are big mall people, but he likes to see the upper end merchandise so he can later look for it at estate sales and I wanted to see Snow Flake Lane. At 7 each evening there is a show with singing and dancing. The night we were there, there was a Seahawk, #72, Michael Bennet. The Snow Queen was blowing bubbles with her wand, so I figured that was the promised snow. But then snow flakes appeared in blue and green on the walls of the shopping centers, so I figured that was the snow. But then it really did snow! Well, maybe they were fine bubbles, but it looked like snow and it was cold enough for snow, so snow it was. The children were delighted! The streets were so very crowded, but everyone was in high spirits. We spent sometime afterwards in the mall to give the parking lot a chance to clear out. Really it was a lovely evening. This entry was posted in Bellevue, Once in a while events, Stores and other places that sell you things, The Holidays, WA State - King County and tagged Bell Square, Bellevue Square, Christmas, cold, crowds, festive, Holidays, mall, Michael Bennet, retail, Seahawks, shopping, snow, Snow Flake Lane, snow flakes on December 19, 2016 by admin. 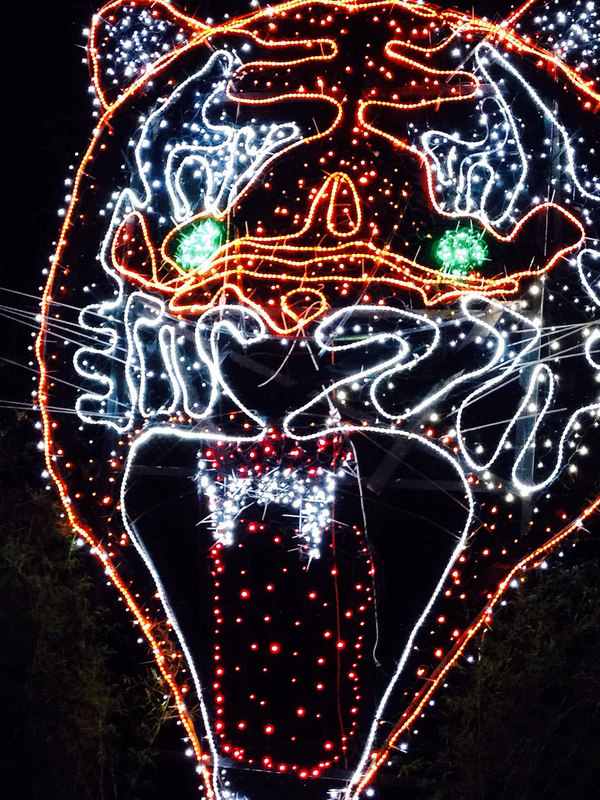 This entry was posted in Art -- there is art here!, Augmented Reality, Tacoma, The Holidays, WA State - Pierce County and tagged app, augmented reality, candy, Christmas, gifts, gingerbread, holiday, Holidays, magic, mailbox, phone, USPS on November 26, 2016 by admin. 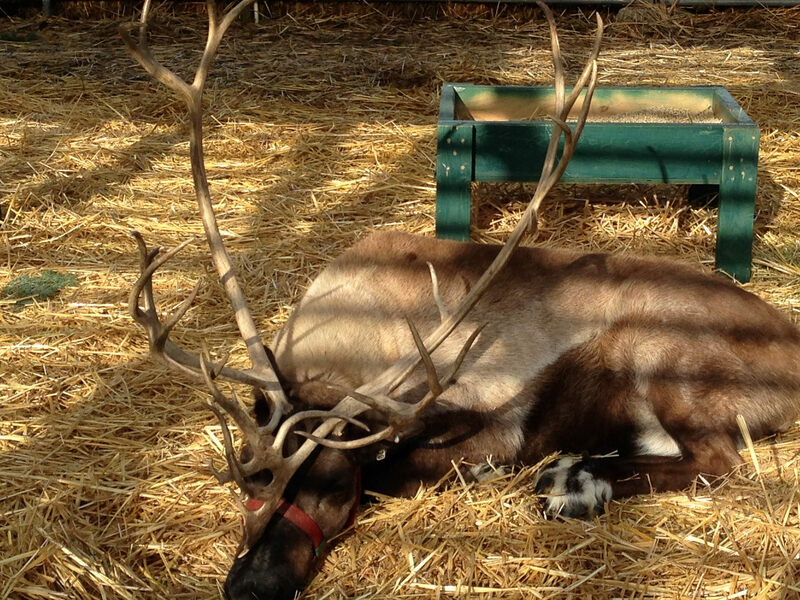 Dear husband and I went to see real reindeer today, Luckily we didn’t have to go to the North Pole (though that would have been fun!). 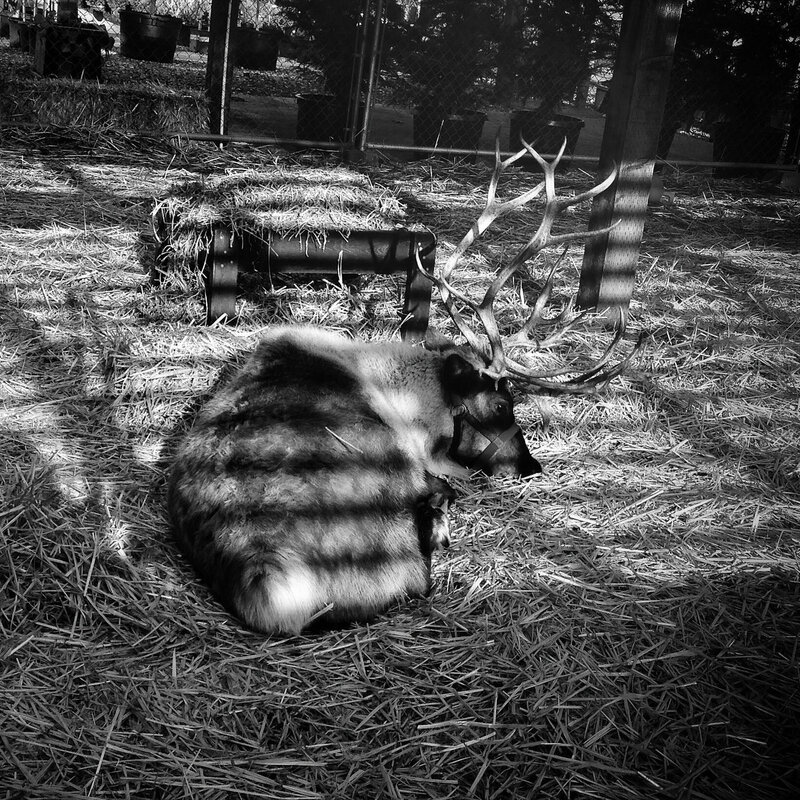 Watson’s Greenhouse has a small herd (2) of the sleigh pulling helpers, When we got there it was really cold and the deer were taking a nap. 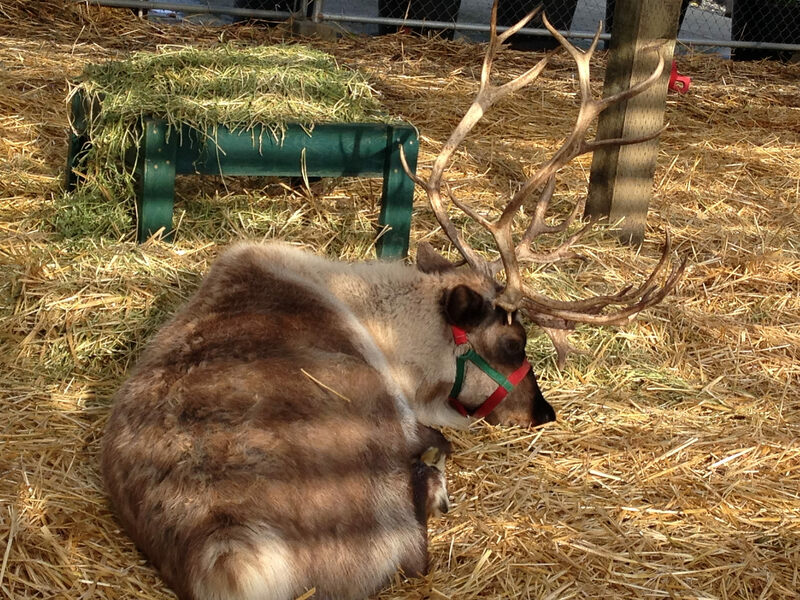 I was very impressed with the size of their antlers! 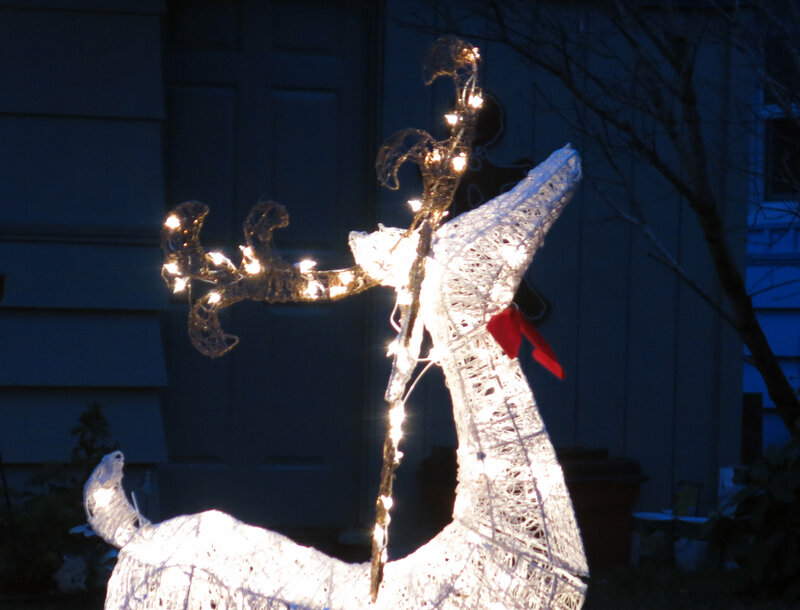 This entry was posted in Puyallup, The Holidays, WA State - Pierce County and tagged antlers, Christmas, cold, Holidays, reindeer, Watson's on November 29, 2014 by admin. In the 4300 block of Pacific Avenue, there is a private house with an outside table and two chairs in the front yard. One of the chairs is always occupied by a manikin and that manikin is always dressed for the season or holiday. Yesterday, July 4th, he was wearing his northwest summer gardening outfit (overalls, flannel shirt, hat) and on the table was a patriotic bucket with red, white and blue flowers and a flag. It reminds me of the Holiday house on South 9th, near Sprague, only its more subdued. 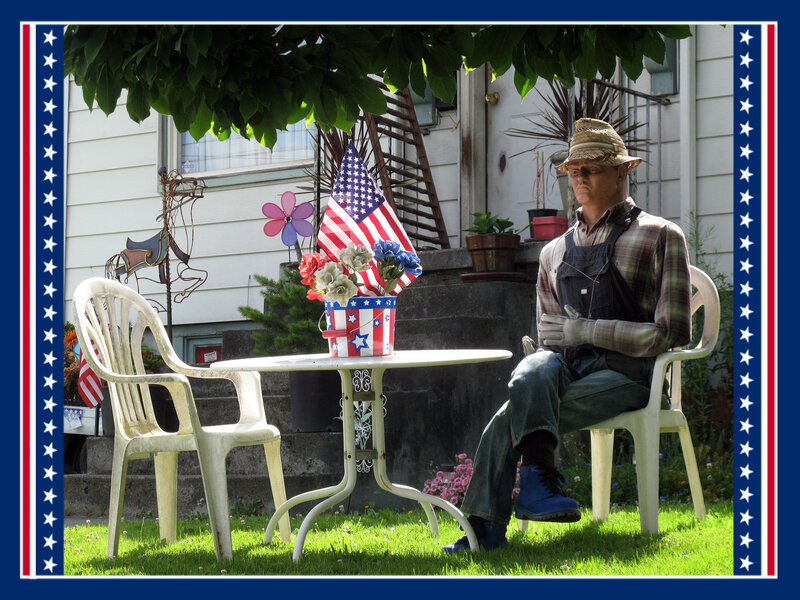 This entry was posted in Art -- there is art here!, Tacoma, WA State - Pierce County and tagged 4th of July, gardening, Holidays, July 4th, Manikin, Pacific Avenue on July 5, 2013 by admin. The legend goes that a bird shorted out the letter S during the holiday season in 2007 when the business was new. 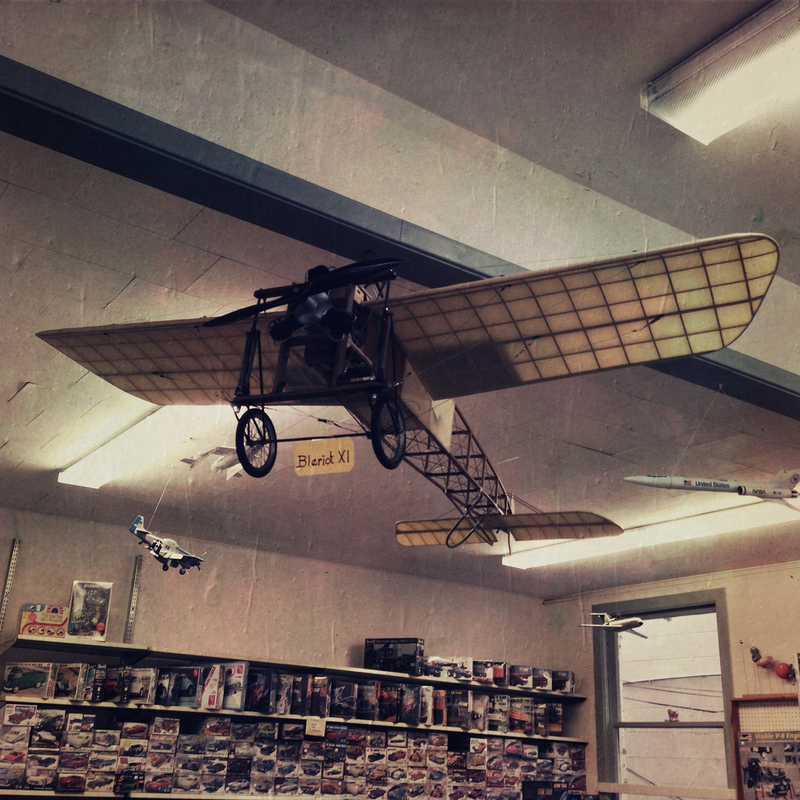 It was so popular that the owners have purposefully recreated the dimming each year. The building was originally Tacoma Ice & Refrigerating Co. and A.W. Sterrett was the architect. It was constructed in 1923. In 2000 it was known as Alpine cold storage. In November of 2006 it opened as its current use, a self storage facility. 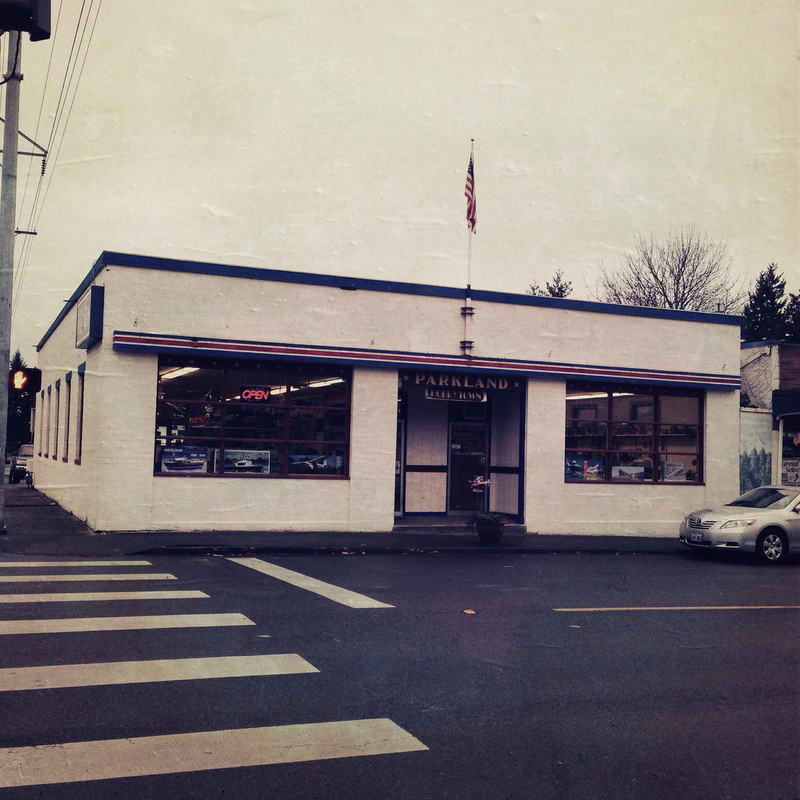 This entry was posted in Historic Sites, Service Places, Tacoma, The Holidays, WA State - Pierce County and tagged bird, Christmas, Elf, historic lights, Holidays, Ice & Refrigerating, neon, seasonal, Self Storage, Storage, Tacoma, Tacoma Elf Storage on December 24, 2012 by admin. 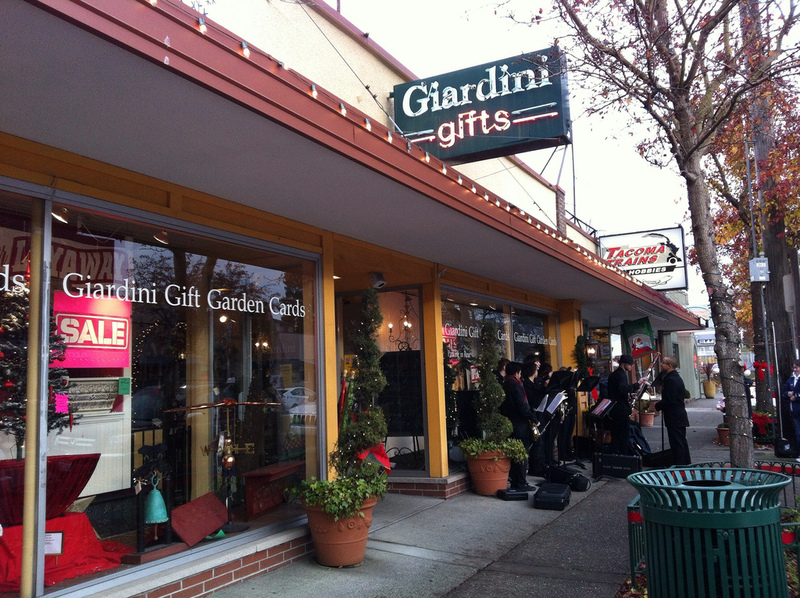 Update: Giardini Gifts closed after the holidays and Compass Rose opened in the summer of 2013. This entry was posted in Stores and other places that sell you things, Their future is in question, Unique Shopping (stores with some personality) and tagged Buy Local, District, Giardini Gifts, gifts, Holidays, presents, Proctor, Salvation Army Band, Tacoma Public Library on December 1, 2012 by admin.